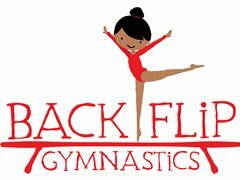 We are recruiting Gymnastics Coaches at Backflip Gymnastics to start asap. Part Time and Full Time vacancies available. Employed positions in Wimbledon and RichmondGenerous Holiday pay. Opportunity to work with one of London's leading fun Gymnastics Companies with the best benefits in the business. Full training given! The right candidates must be professional, enthusiastic, have a positive attitude, Team Players and very good with children. If you are interested in applying please email us attaching your cv and a covering letter. We look forward to hearing from you.